Chicago Cubs fans are celebrating the end of 108 years of waiting! The Cubs have captured their first World Series Championship since 1908 and diehard Cubs fans are ecstatic with joy! To honor the end to the team's decades of heartbreak, we are proud to present this authentic Louisville Slugger HAND CRAFTED collectible bat. This full-sized ash bat features the Cubs logo, includes scores of the World Series games played and is engraved with the 2016 World Series Logo. Fans will love this fine collectible commemorating the Chicago Cubs World Series Championship, which looks great displayed on any wall in your home or office. 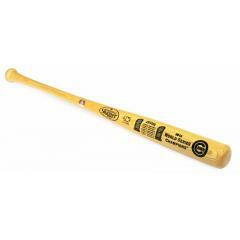 Cubs 2016 World Series Champions Louisville Slugger Bat $129.95 Sold Out!